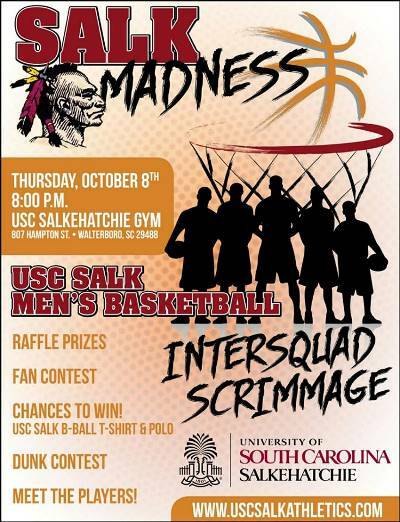 Salk Madness Basketball Event this Thursday Oct.8th at 8pm. Come out and get a sneak preview of this years squad. Dunk Contest, intra-squad scrimmage and games and raffle prizes!